Ensuring that you have adequate financial protection for you, your family and any dependants is an important element of financial planning. As a healthy working person with a good income, you may feel reasonably confident that you are able to provide for your family. However, your finances could be more precarious than you think. No matter what the current economic environment, adhering to a few sound and well-practiced strategies will help you to prepare for the future. 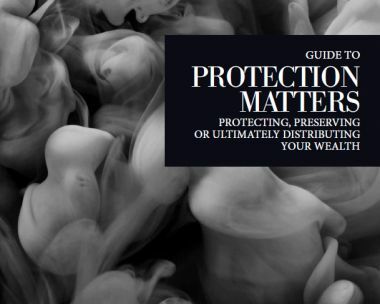 While your individual situation will always have its unique qualities, our guide provides suggestions to consider as you review your family’s long-term protection plans.